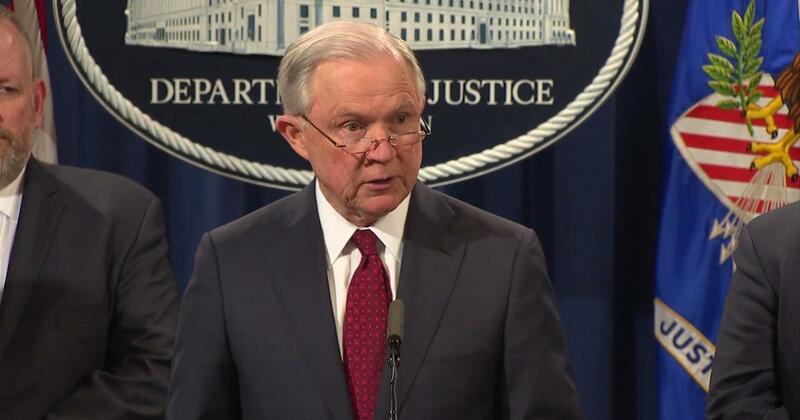 Attorney General Jeff Sessions has presented the Department of Justice's recent Task Force as part of the ongoing campaign of sessions to combat the country's debilitating opioid epidemic. The Presidential Intervention and Litigation Task Force (PILS) aims to address opioid manufacturers and distributors who have contributed to the epidemic. Meetings have said, through criminal and civil penalties, "whatever laws and tools we have," people who will be held accountable if they violate our laws. " Efforts will involve DOJ officials working closely with HHS and law enforcement officials at all levels to investigate possible legislative and regulatory changes to existing laws. Sessions, said he ordered the group to "investigate existing conditions and lawsuits from manufacturers to establish where we can be assisban ce. " " We will go to court to ensure that the American people will see " Compensation they deserve, "said Sessions. He said that the DOJ will continue to attack the opioid crisis "from every angle", reducing the number of prescriptions on the market today, including filing a lawsuit for the victims. Sessions added that the department would examine what other civil and criminal measures they could take to stop drug manufacturers and distributors, including the possibility of obtaining professional licenses if they did not comply with the law. He also announced on Tuesday that he would announce the appointment of Mary Daly as DOJ Opioid Coordinator to oversee the department's anti-opioid efforts. Previously, Daly was a US attorney in New York and Virginia, where she overseen narcotic units. In an effort to stem the nation's debilitating epidemic, Sessions has since made efforts to strengthen, inter alia, state and local law enforcement partners. The pilot program focused specifically on opioid-related fraud in healthcare and a more aggressive persecution of opioid-related drug crime. Sessions has said that the fight against the opioid epidemic is a priority for both the Trump government and its Ministry of Justice.